Complementary medicine is the term I would choose for what I do. There are many reasons for this but one major factor is that I don’t feel I’m in competition with the predominant western model of healthcare. Before we get too deeply into this discussion I have to set the record straight. Western medical doctors have done nothing to help me heal. I’m not saying they can’t help you I’m saying they haven’t helped me. All of the damage I sustained was made worse under their care and I had to drop out of school and go my own way to find people who could help me. Most of those who did help me are quite frankly considered snake oil salesman. A cranialsacral therapist, a yogi named BKS Iyengar, a yoga teacher in the U.S. named Bikram Choudhury and a Thai massage teacher doing some odd stuff I now do for a living. I got more help from asian bodywork and care than I ever did from western doctors after a horrible whiplash. Drunk drivers aren’t on my love list. All these years later I still ache. I work on it, I’m better, my health is better than most I know but it’s taken years of hard work and dedication, not to mention sampling what others consider snake oil. The only thing I did pick up as a philosophy student was looking at the big picture and asking questions. When it comes to our current medical model let me explain this so you understand. There are two major issues when it comes to what is considered science. The scientific method works, there’s a reason we hold it in such high regard. When we study something we can prove and show repeatedly that something works then delve more to find out why. The gap is that on the one hand we only know so much so we need to look at specific things. What we Choose to study is just as important as the results. The other factor and hold onto your hats, medical research must be funded. Funding=$. Do you or I have money to dedicate to the study and research of complementary medicine? 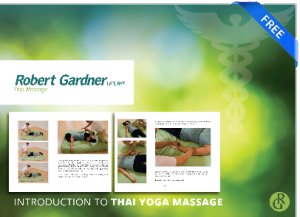 Homeopathy, acupuncture, Thai massage, massage, cranial osteopathy, yoga, tai chi? These things are difficult to study but not impossible. The catch is who will pay to have them studied? In the U.S. alone we spend more money dropping rockets and bombs on other countries than goes into research on these things. Maybe they don’t work and if they don’t, let’s find out and move on with life. The fundamental issue is that insurance and pharmaceutical companies now own medical care in this country. They pay for research. Does anyone care to prove that I can within a single session help someone feel better for an entire week even if they suffer chronic low back pain? There’s no money in it for anyone but me. Pharamceutical companies have no interest in my helping people because they can’t profit. Please remember, I Love western medicine, our emergency care is superb and if I get hit by a bus please rush me to the ER. Afterwards, I’m seeing all of the complementary medical personnel who’ve kept me off of the needle. The questions are: What do we study? Why do we choose to study it? That’s science and science is ruled by $. The $ is in the hands of insurance companies and pharmaceutical companies who have a vested interest in you taking more of their products and sealing the deal on their market.